Home » gifts » Coupe or Flute? This is the age old champagne dilemma – coupe, flute or tulip! Last year I wrote about Seth Box, director of education for Moet Hennessy USA, who, in the New York Times, discussed his preferences. 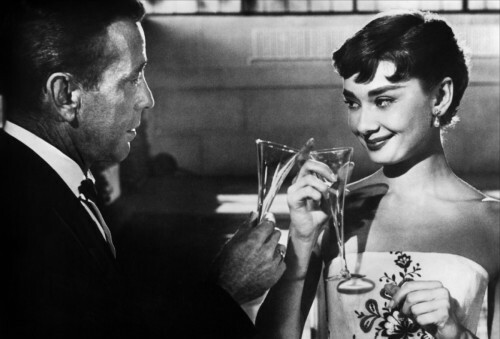 Not only did he voice his opinion (which of course I agree with) that Americans drink too little champagne but he also had strong thoughts about what glass to serve it in. He admits that although flutes are “great for presentation and showcase bubbles beautifully, from the tasting standpoint, the shape isn’t ideal.” He prefers something rounder on the bottom that tapers on top like this Baccarat Remy stem. He classifies this as “boring but perfect”. 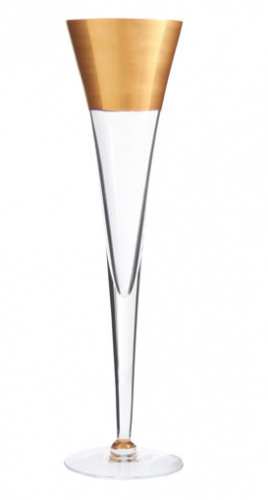 For a classic flute, he choose the Facet Champagne flute from Lalique – a beautiful classic pick. I love its elegant retro feel. For modern he choose this fabulously sleek Inside Out glass by AMT studio (currently sold out). Such a clever design! 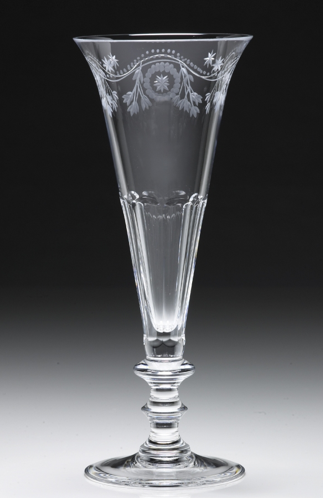 And for a retro look, he chose this sturdy Stork Club glass by New York First Company. But there are so many other wonderful choices out there as well. And while many experts agree that the tulip may be the ideal shape, if you’re anything like me, the champagne doesn’t stay in the glass long enough for me to taste the difference! My classic favorite is the Dom Perignon by Baccarat. It’s clean elegant lines are always in style and would go with any tabletop design. It’s what I own. Even though this Bacchus champagne tumbler by Theresienthal was designed in the 19th Century by Henriette Steigerwald, it walks the fine line between traditional and modern style. The rosettes and beading on this design, available in six colors, are inspired by glasses from Roman and Middle-Age glassware, reflecting the Romantic aesthetic. I love the incredibly detailing. I inherited a set of Bacchus in other shapes that I just adore. You can see the water glasses on my tartan Christmas table. The Bunny pattern, one of my favorites, originates also from the late 18th century. The rosette motif was very popular at that time and it has a beautiful combination of delicate engraving and flat cuts. The saucer shaped Fern is a pattern from the mid to late 19th century when botanical designs were very popular and wealthy landowners were competing with each other to grow and propagate plants from cuttings brought back from exploration in exotic places. For something fun and different you could afford to indulge in these festive Montpellier Flutes. At $60 for a set of 6, they would make a sparkling statement!! A little gilt is always a festive touch. Marc Blackwell’s chic Northern Hemisphere flute would work with a modern or traditional tabletop. 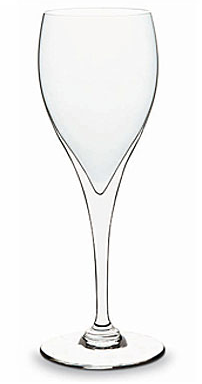 For clean contemporary lines, I like Ichendorf’s Arles Champagne flute. or iittala’s modern classic – the Aarne, designed in the 1950’s by Finnish glass designer and decorative artist Göran Hongell. It was awarded a gold medal at the prestigious Milan Triennale of 1954, selected as the symbol of the iittala glassworks for its 100th anniversary in 1981, and is part of the permanent collection of the Museum of Modern Art in New York. I love the idea of black and white for New Year’s Eve. Add a little sophisticated dark elegance with Dibbern’s Manhattan Champagne glass! 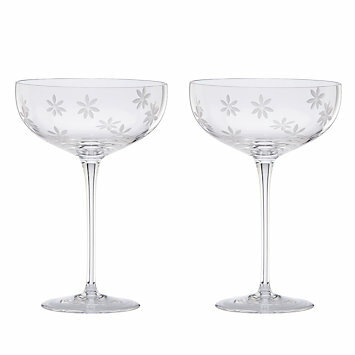 And if I were planning a slightly retro New Year’s Eve in a warm weather locale, I think these Kate Spade Bubbly Daisy Saucer Champagne Glasses would be charming! But no matter what glass you choose, you’re bound to have a festive evening if you’re drinking champagne, the drink of kings (and queens of course)! Happy New Year dear readers!! You’ve certainly made this a year to remember for me. Wishing you all the very best for 2012! This entry posted in food and drink, gifts, holiday, interior design, wine. Entry Tags: Baccarat, Ichendorf, iittala, Kate Spade champagne glasses, Lalique, Marc Blackwell, New Year's Eve, Saint-Louis crystal, Theresienthal, William Yeoward Bookmark the permalink. 25 Responses to Coupe or Flute? I have some classic champagne flutes, but I’ve always wanted a set of “Saucer Champagne Glasses” without etching. 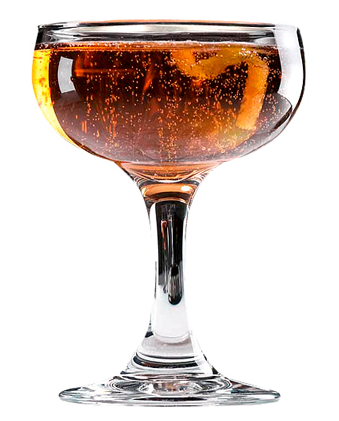 Just simple, classic saucer-style glasses. So fun. Love this post. Champagne is a favorite of mine. I first fell in love with it when I spent the summer in Belgium after graduation. No turning back now. 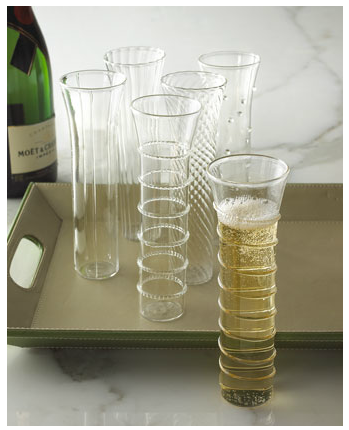 Loving champagne as I do I love the flutes, the Baccarat and then the Montpelier are wonderfully designed. I hope taht everyone toasts in the New Year!! I love both the coupe as well as the flute. I grew up with coupes and yet I own flutes. I prefer traditional styles to the modern ones, but really, when it comes down to the nitty and the gritty, the glass is simply a vehicle to get the fabulous bubbles into me where they belong! Cheers! Wishing you and your family a happy and healthy New Year! Stacey, thank you so much for your kindness and inspiration this year. I am sending all of my best for a fantastic 2012! We hosted Thanksgiving and our dear guests brought not only the champagne, but the champagne flutes too! I think I shall have to do a taste test from a myriad of glasses like you posted. I love them all. I have some small steuben glasses that I think I will toast the New Year in with. Happy 2012! May this year unfold the beauty of your heart and all you share so graciously with each of us. I feel so fortunate to read your blog and to have met you twice! Thank you for including our Northern Hemisphere Flute in your extensive and wonderful guide. They are all fantastic! 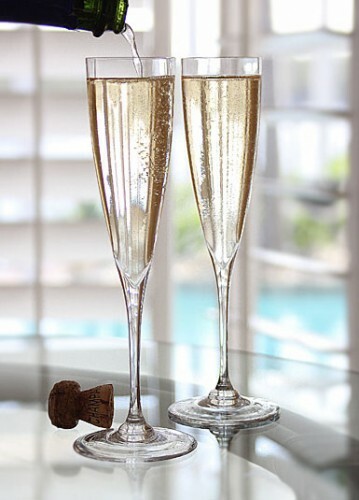 Cheers to an amazing 2012, keep the information (and the bubbly) flowing! Check out more Marc Blackwell glassware at Barneys.com!!! 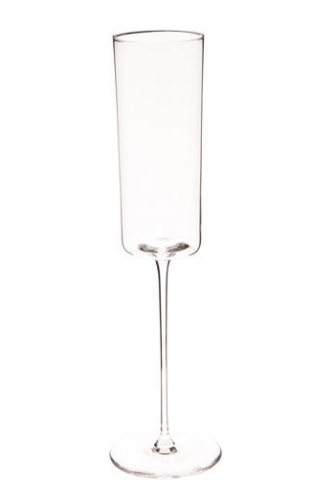 I love this post about champagne flutes! I wish you all the best in the New Year and thank you for a wonderful year of inspiring, stylish, and informative posts, Stacey. Your blog is always a highlight of my day! As I am obsessed with dish and glassware, I will take them all. And my very favorite thing to drink is champagne. So many beautiful choices, I love the look of flutes, especially with pomegranate jewels dancing up and down in the bubbles! My champagne of choice is always the Billecarte~Salmon, delicious! Happy New Year! I will be pulling out the champers tonight and raising a glass to you for a happy New Year. Thanks for all the great posts. I’ve been deep in TCM for the last couple of days, feet on the sofa and quite horizontal perfecting my down time pose. I love all of these glasses Stacey. Thanks for the research and beautiful photos. The Husband and I just broke the bank for caviar and DP for midnight celebration by the pool. So glad that New Year’s Eve is only once a year! I send my best wishes to you and your wonderful readers for a great 2012. What a fantastic post! Best of the New Year, so say I. Brought sheer pleasure to my reading experience today. Thank you Stacey! 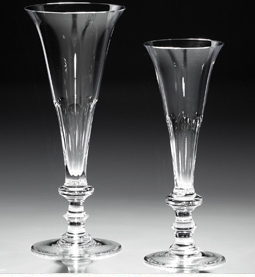 Love to serve champagne in a coupe with hors d’oeuvre but end the meal in champagne in a flutte. 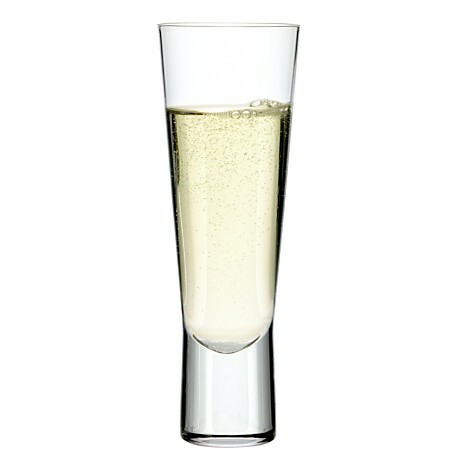 Love to serve champagne in a coupe with hors d’oeuvre but end the meal in champagne in a flute. have to invest in a nice set of these… Wishing you an amazing new year!!! Happy 2012, Q! I know you celebrated in style… I’m a flute girl all the way! So timely! 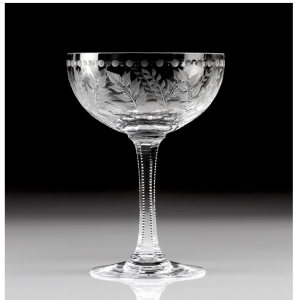 Though I’m a coupe girl through and through and am embarrassed to say I did not know there was a shape called the “tulip”….we just ordered some gorgeous Waterford flutes tonight on sale. All of the flutes we have are pretty, but not crystal so we thought we’d see if they went on sale after New Years. Appears they do!! Cheers to you and another amazing year of the Q! 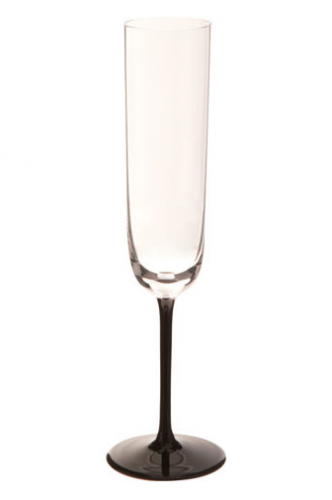 Love your Bacchus champagne glasses and would love to have the Bunny pattern…dainty and elegant. Wishing you all the best in the New Year!! sooo many beautiful ways to drink champagne- how fitting! I have the “inside out” ones- they are fun but I’m coveting the Bacchus ones for sure. 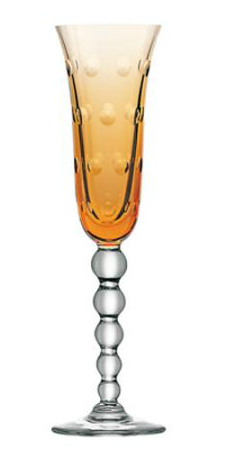 I love the Lalique flutes and the Montpellier set of 6! A great post which got me thinking I need to dust off my crystal champagne flutes that were a wedding present and haven’t been used in 2 years! Perhaps some Sunday morning mimosas are in order… Thanks for the inspiration. 79 queries in 0.488 seconds.